Dogs Bite Decatur Al: TUCSON AZ - BREANNA HENSON ARRESTED FOR CHILD ABUSE AFTER THE DEATH OF HER 8-MONTH-OLD GIRL - AN AUTOPSY REPORT SAID MULTIPLE INJURIES LED TO HER DEATH - A DOG WAS FOUND NEAR THE BABY AND THE CONTENTS OF IT'S STOMACH REVEALED "HUMAN INFANT TEETH AND SKELETAL FRAGMENTS"
TUCSON AZ - BREANNA HENSON ARRESTED FOR CHILD ABUSE AFTER THE DEATH OF HER 8-MONTH-OLD GIRL - AN AUTOPSY REPORT SAID MULTIPLE INJURIES LED TO HER DEATH - A DOG WAS FOUND NEAR THE BABY AND THE CONTENTS OF IT'S STOMACH REVEALED "HUMAN INFANT TEETH AND SKELETAL FRAGMENTS"
KOLD News 13) - The autopsy report about the death of an eight-month-old girl says MULTIPLE INJURIES LED TO HER DEATH, but that the manner of the death remains undetermined. Patricia Henson died Jan. 24 at a home in the 7700 block of East Apple Tree Drive, on Tucson’s southeast side. Police said the injuries may have been caused by the dog, confirming there was a dog in the home at the time, but police did not say that the dog attacked the baby. The autopsy report said that examination of three bags af the dog's stomach contents revealed "human infant teeth and skeletal fragments. Her mother, Breanna Henson, was arrested and charged with child abuse. Police say she was very intoxicated when officers arrived at the home. The autopsy of the 8-month-old child who was found dead with a dog nearby has revealed some gruesome details about the incident that occurred Jan. 24. 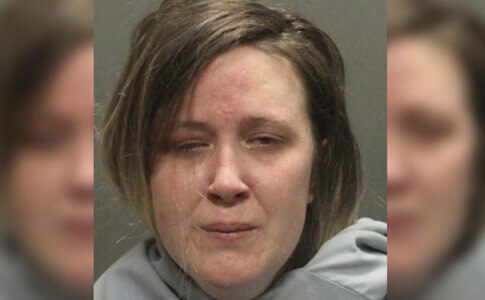 Back in January, 30-year-old Breanna Henson was arrested at her home in the 7700 block of East Apple Tree near Irvington and Pantano roads after her infant daughter was found unresponsive with a dog nearby. Henson, who was reportedly found intoxicated, was initially arrested for one count of child abuse. According to the autopsy that was released Monday, the infant sustained several injuries during the incident, including abrasions, lacerations, contusions, and puncture wounds; absence of soft tissues; hemorrhages; hematomas and lacerations; among other injuries. Three containers of gastric contents from the dog were also examined. The toxicology report also came back clean, according to the Pima County Office of the Medical Examiner. The report cites that the manner of death is still undetermined following the autopsy. 10) 3 - 8 - 2-Year-Old Boy - High Springs Alachua Co FL - While in the care of his grandmother who was who was letting out large dogs at his aunt's house - 2 of the dogs mauled the boy - He was pronounced dead at the scene and the grandmother was injured trying to save him - 6 dogs were taken from the home - They were adopted dogs from Rescues and appear to be Boxer/Pit mix, and various mixed breeds and a large Dogo Argentino - The 2 dogs that killed the baby were an American Staffordshire Terrier (Pit Bull) and an American Bulldog. I am not reading the autopsy report. I can't even handle the title, let alone the details. How is this happening in our country?? What is wrong with us?